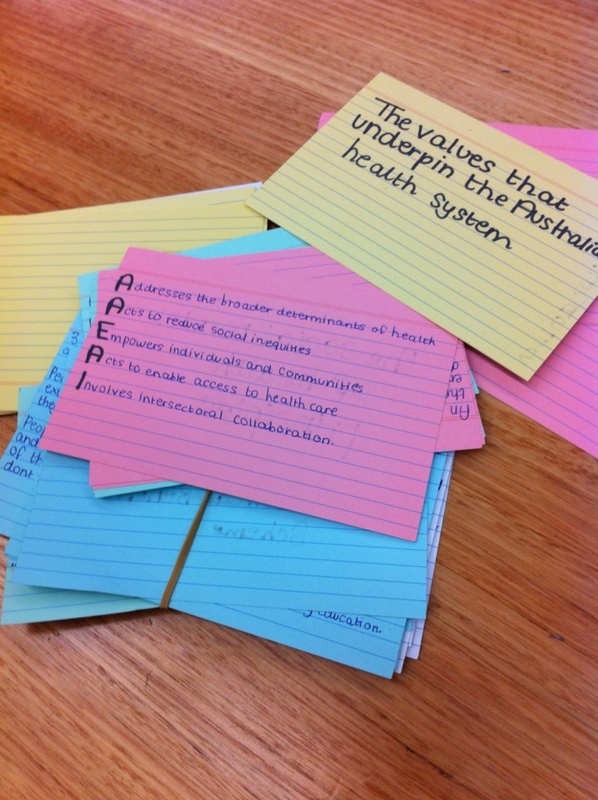 Index cards – spotted in the wild! After my recent forays into the world of flash cards in a digital format, it was nice to see some good old fashioned paper versions in class this week. Here’s to paper too! Posted on June 3, 2012 by warrickPosted in tools and gadgetsTagged cards, paper. Some times, a piece of paper is what we I need to calm my nerves due to digital induced mental blockage.